Bags under eyes is something a lot of us women battle. For me, it’s in the genes. Several women in my family have bags, but there are still steps to take to minimize them. I received products from Frownies to help me out. All opinions are my own. Allergies: Allergy-sufferers can definitely notice puffy eyes. Diet: The day after I eat salty foods, look out. Talk about extreme excess baggage. Sleep: Obviously, the more tired you are, the bigger circles and bags. Booze: Out partying the night before? It might show in your eyes. It definitely does for me! 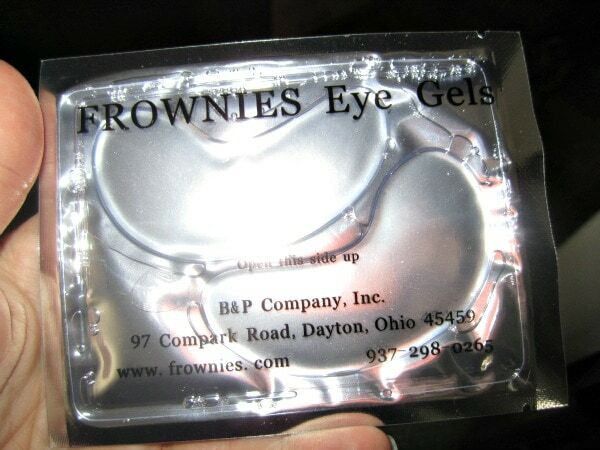 For Quick Results: Get yourself some Frownies Eye Gels. These are hands down the most soothing eye gels that I have ever tried. Not only do they feel amazing, but they give you noticeable results in as little as 30 minutes. For Allergies: I find washing my eyelids daily with baby shampoo can help soothe them. Take allergy medications and even use a saline nasal cleanse to reduce irritation. For a Salt Binge: I try to only do that once in a while and balance it out with lots of water, fruits and veggies. For Lack of Sleep: Well, go to bed earlier! Rest is important for the whole body. If it’s strictly vanity you are worried about, definitely try for a solid 8 hours the night before an event. If you are short on time, take a 30 minute rest break with some Frownies Eye Gels. For a Booze-y Hangover: Rehydrate and rest. Drink coconut water for extra hydration and don’t forget your vitamins. For Overall Good: Regular exercise has also reduced the appearance of my bags over time. Getting the blood pumping and lymphatic system moving is great for reducing puffiness. Frownies Eye Gels contain antioxidants and ingredients that help protect your skin. The weight of the patch helps smooth out the delicate under-eye skin. The coolness also relieves puffiness for instant results. Gels can be reused by re-wetting them with Frownies Rose Water. For best results, pair with Immune Shield Vitamin E serum. Frownies has several anti-aging products and skin care items. I would definitely recommend checking them out. Make sure to stay in touch with them on their Facebook Page and follow on Twitter. 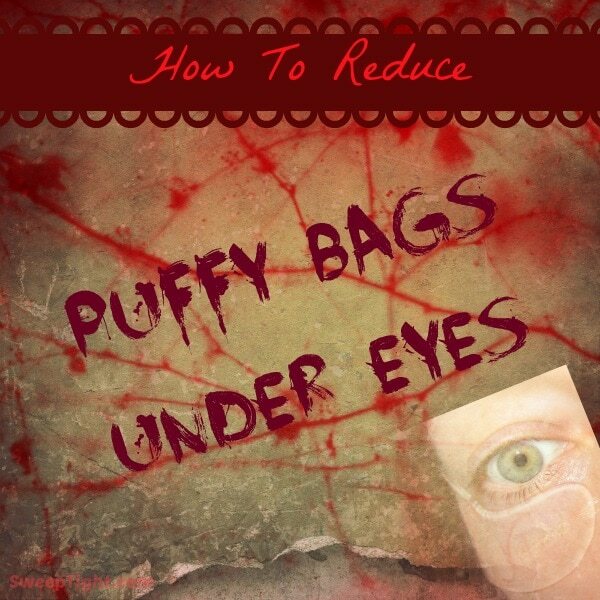 Do you have bags under your eyes? What do you do to minimize them? These are so neat, and exactly what I need! It seems the older I get the more puffiness I experience when I get up in the mornings! Ooh these sound and look like a great refresher. I definitely agree that water seems to be essential! But these look like they could help a lot too! Eyes are most important; quite a soft, sensitive part of body. They need utmost care always. The gravity of not maintaining them well is felt more acutely in old age. So it is absolutely necessary to get eyes relaxed. These look like they would feel so good. This would also make a great gift for my daughter for Christmas. I bet she would enjoy them. I will have to try the Frownies Eye Gels and see how they work! I know that if I do not get a good nights sleep then my puffy eyes are worse! I try to keep the salt intake down, and watch with the alcohol! Thanks for the tip about Frownies eye gels. i have seen these b4, they have been around a long time, always wondered if they worked, guess i will try them now. you can also get injections to help w/ under eye bags, less expensive than surgery. although only temp for abt 6-12 mos.